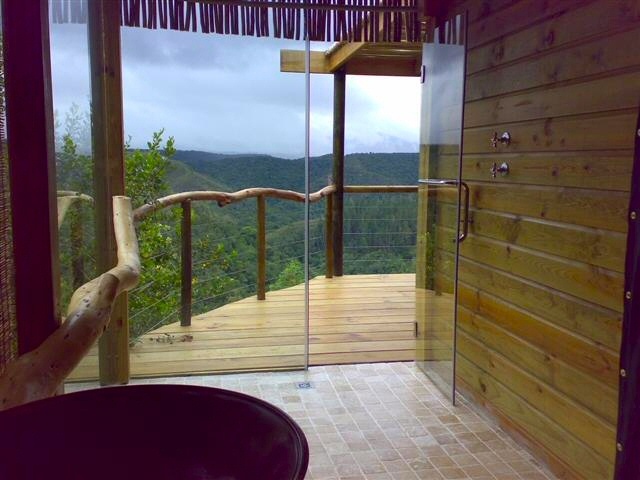 Lazy Leopard – romantic self catering cottages and chalets on the Rheenendal Ramble, Garden Route, South Africa - idyllic honeymoon hideaways. 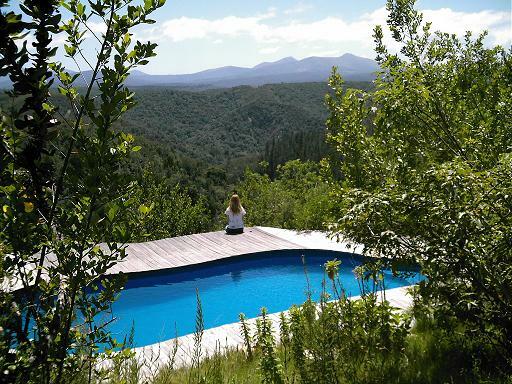 Lazy Leopard offers secluded self catering accommodation overlooking the Knysna forest. Set against the background of the Outeniqua Mountains there is nothing but nature in front of you. The pool at Lazy Leopard. Blue Hills is the largest and sleeps up to 8 people. 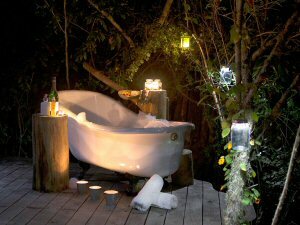 Starry Forest and Forest Moon sleep 2 people each and are perfect for a truly romanctic getaway. Honeymoon extra's such as champagne and chocolates are also available on request.